This morning, Google Vice President of Mobile Andy Rubin announced the company was activating over 500,000 new Android devices each day. This comes just a month ago after the Google I/O 2011 conference in May, when company announced 400,000 new Android device activations per day. Yes, this means a 25 percent increase in just a month. And for those not keeping tabs, Google was only activating around 100,000 devices a day at last year’s I/O 2010 conference. When we last checked in, there were 310 Android devices on the market from 36 manufacturers and 215 cellular carriers in 112 countries — those numbers are probably larger too. With fragmentation becoming a large concern for many, I am also hoping to hear statistics regarding long-term support for these devices after Google announced a new initiative with several carriers and manufactures to ensure platform updates for at least 18 months. Of the 100 million total activated devices (May 2011), 64 percent still run on Android 2.2 with Android 2.1 following with 21 percent. 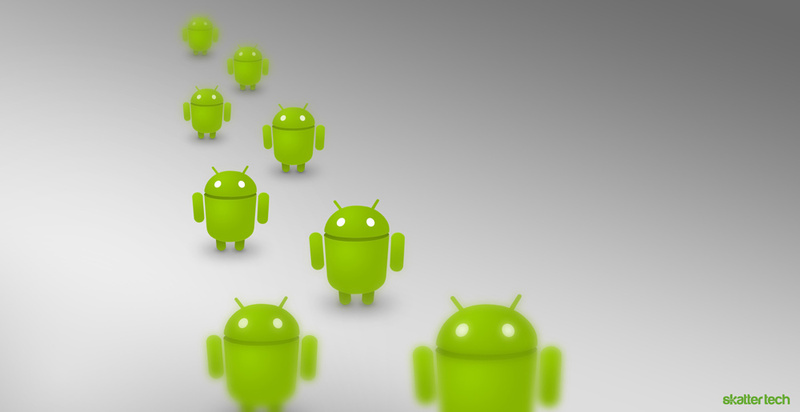 Only 8 percent of these smart phones run on the latest Android 2.3 Gingerbread operating system. The most concerning is likely the slow growth of tablets since devices running on Android 3.0/3.1 only account for 0.6 percent. While the overall activation rate is great news for Android enthusiasts, I should note that the platform actually lost market share for the first time since 2009 last quarter. This was single-handedly due to the Apple iPhone making its way on the Verizon Wireless network. Google may regain some lost ground when Android Ice Cream Sandwich makes a debut, but it will have to face the Apple iPhone 5 later this year meaning potentially falling back even further.